Boys and Girls! Do you guys have a gift for your significant others already this Valentine's? What do you plan on getting them? 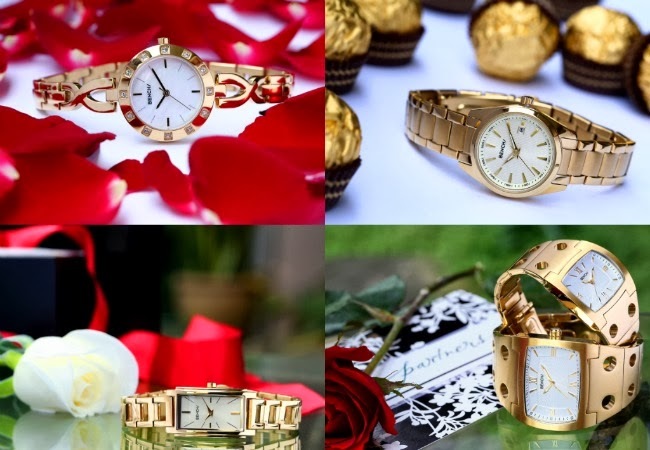 Bench's new Premium Gold Collection Watches makes it possible to gift our partners something special this Valentine's Day even with a small budget. I have many watches that aren't Swiss, Japanese mechanisms have come a long way and I have never encountered a problem with them yet, my oldest being about 8 years old. Seriously though, yes, what girl/guy wouldn't appreciate one of these? And if you're thinking, "Nah, she/he isn't into gold! ", they also have it in rose gold (yes gold again, sorry na. ), stainless steel and black steel. Bench Timepieces are available at all Bench Stores and L TimeStudio nationwide. will definitely check this out :) thanks for recommending! This looks one of the most luxury beauty parlor. But i use to avoid in going such place. I am using face massage using face massager at home itself.